Inside the world’s #1 enterprise cloud platform. We wrote the book on how to build apps — and transform your business in the process. This in-depth look at the services of the Salesforce Platform shows how you can build, connect, optimize, and deploy every kind of app. Find out how to stay ahead of the digital curve by delivering better, more connected apps, faster. Unlock a new level of productivity by visually constructing apps. Engage customers with engaging apps that scale, ensuring you will always deliver the best experience. Connect all your data, networks, and identity across your organization. Get up to speed quickly with training from Trailhead. 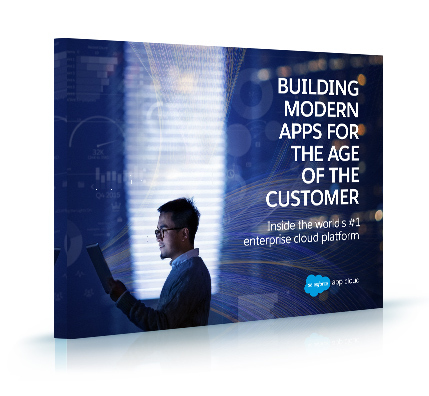 We wrote the book on how to build apps — and transform your business in the process. This in-depth look at App Cloud shows how you can build, connect, optimize, and deploy every kind of app. Find out how to stay ahead of the digital curve by delivering better, more connected apps, faster.